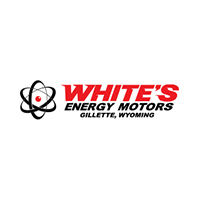 9 Certified Pre-Owned CDJRs in Gillette | White's Energy Motors " "
Isn't it time you got rid of that old heap and got behind the wheel of this reliable SXT** Dodge CERTIFIED.. This gas-saving 2016 Dodge Journey SXT will get you where you need to go*** Special Online Pricing on this all-purpose SXT** All Wheel Drive* All the right toys!! Safety equipment includes: ABS, Traction control, Curtain airbags, Passenger Airbag, Front fog/driving lights, Knee airbags - Driver, Daytime running lights...Other features include: Power locks, Power windows, Auto, Rear air conditioning, Air conditioning, Front air conditioning zones - Dual, Cruise control, Audio controls on steering wheel...Chrysler Certified Pre-Owned means you not only get the reassurance of a 3Mo/3,000Mile Maximum Care Limited Warranty, but also up to a 7-Year/100,000-Mile Powertrain Limited Warranty, a 125-point inspection/reconditioning, 24hr roadside assistance, rental car benefits, and a complete CARFAX vehicle history report. I'm what you call a smooth operator and you'll love every minute with me! I promise to show you off everywhere we go! SPECIAL WEB PRICING!! Extremely sharp!! Gets Great Gas Mileage: 29 MPG Hwy.. 4 Wheel Drive, never get stuck again* Jeep CERTIFIED! Very Low Mileage: LESS THAN 1k miles** Optional equipment includes: Engine: 2.4L I4 ZERO EVAP M-AIR, Tires: 215/60R17 BSW AS Touring, Wheels: 17' x 7.0' Aluminum, Quick Order Package 2EJ, Transmission: 9-Speed 948TE Automatic, 3.734 Final Drive Ratio...Chrysler Certified Pre-Owned means you not only get the reassurance of a 3Mo/3,000Mile Maximum Care Limited Warranty, but also up to a 7-Year/100,000-Mile Powertrain Limited Warranty, a 125-point inspection/reconditioning, 24hr roadside assistance, rental car benefits, and a complete CARFAX vehicle history report. Extremely sharp! SPECIAL INTERNET PRICING** 4 Wheel Drive!!!4X4!!!4WD. Lower price! Was $31,254 NOW $29,994. SAVE AT THE PUMP!!! 24 MPG Hwy!!! Jeep CERTIFIED... Jeep has outdone itself with this hardy SUV. Optional equipment includes: Quick Order Package 2ZL Trailhawk Elite, Power Front/Fixed Rear Full Sunroof, Technology Group, Engine: 2.0L I4 DOHC DI Turbo w/ESS, Engine Block Heater, Illuminated Front Cupholders (DISC), 3.734 Axle Ratio...Chrysler Certified Pre-Owned means you not only get the reassurance of a 3Mo/3,000Mile Maximum Care Limited Warranty, but also up to a 7-Year/100,000-Mile Powertrain Limited Warranty, a 125-point inspection/reconditioning, 24hr roadside assistance, rental car benefits, and a complete CARFAX vehicle history report.